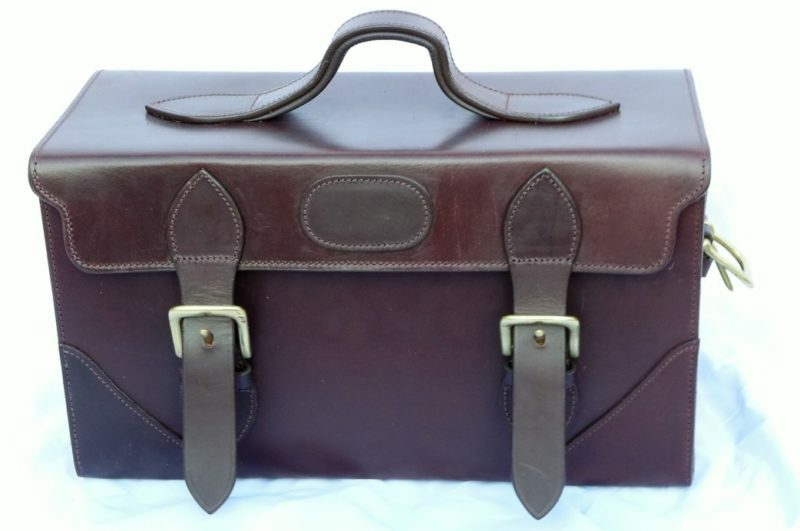 A well made Bridle Leather Cartridge Magazine holding 225 cartridges. 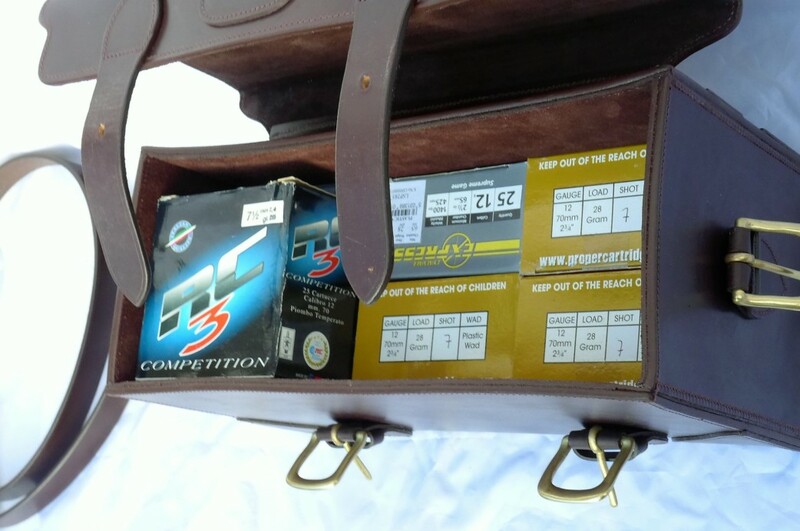 A very useful piece of kit to hold more than enough cartridges for a good days shooting. Please enter initials with or without stops. 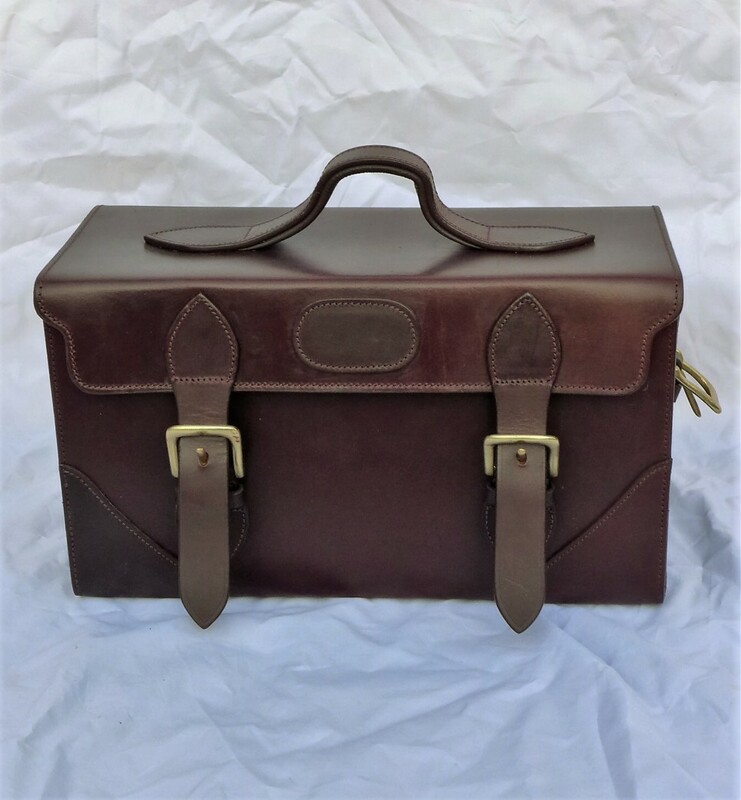 A well made Bridle Leather Cartridge Magazine holding 225 cartridges. 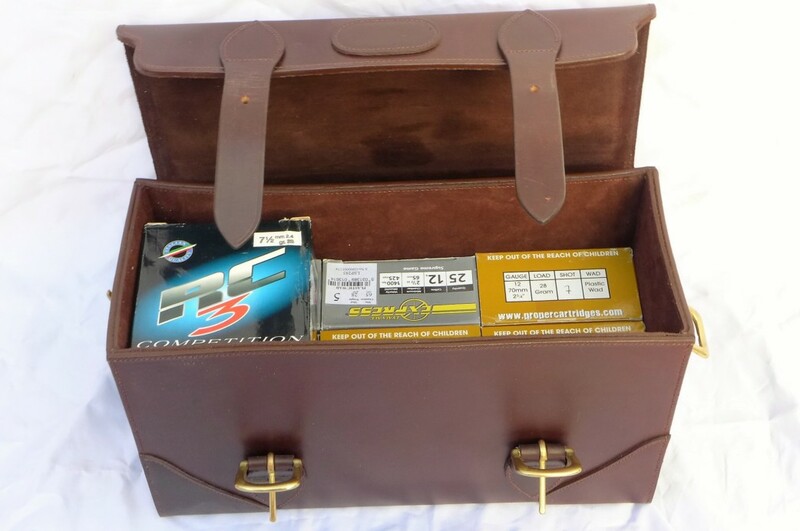 The inside measures 32 x 13 x 18cms and takes 6 boxes of cartridges upright and 3 boxes flat. The magazine is made from thick bridle leather and lined with a brushed hardwearing cloth, with overlayed leather corners. The top closes with two solid brass buckles and there is a bridle leather adjustable shoulder strap. A very useful piece of kit to hold more than enough cartridges for a good days shooting. Initials can be added to the magazine for a small charge of £15, please enter these with or without stops. 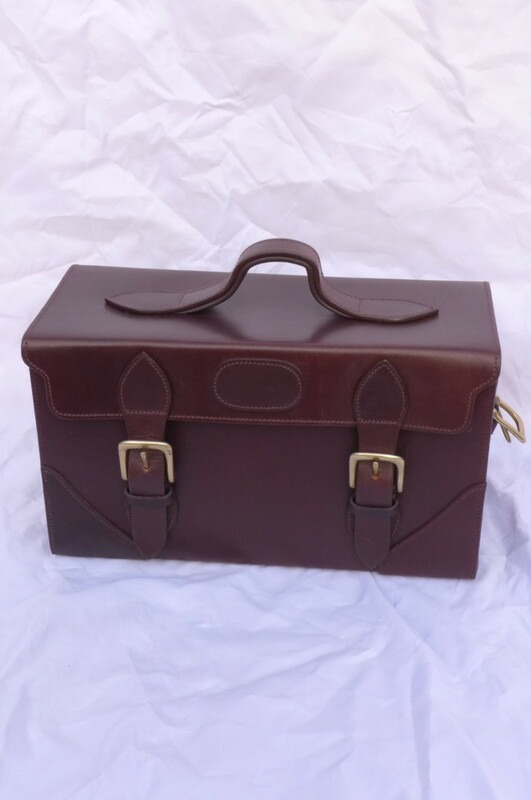 A very good looking and practical bag, beautifully made. It would have been even better with feet to keep it off the ground a little, and if the initials had been gold.